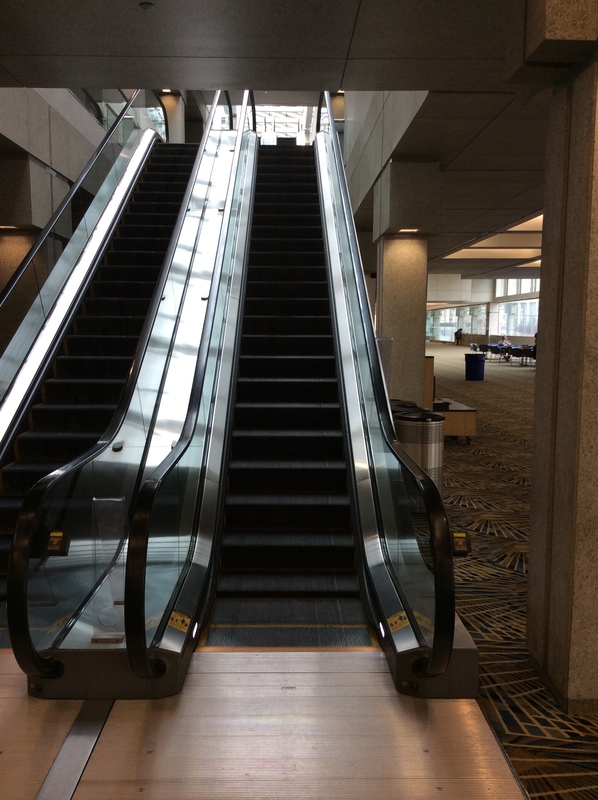 The Escalator Problem – It’s not perfect… yet. One of the things we try to tell teachers is that they shouldn’t let the fact that a homemade resource has an imperfection force them to not make it or post it. We say this to teachers that are interested in attempting to flip their classes all the time. If you can think of a way to support your kids when they are away from you, then do it. Imperfections be darned. Really, there is only one way to get better at providing homemade resources to your students, and that is just to practice, practice, practice. This is a great model to show your students, as well. The learning process is one that rests on attempts and feedback. The feedback on a perfect try tends to be quite boring. The feedback on a high-quality, but imperfect try tends to be a heck of a lot more interesting. The message here is not to make mistakes on purpose because it makes like interesting, but rather that we shouldn’t wait for our contribution to be perfect to make it. Active contributors form the foundation for effective collaboration. There is a lot of value, too, even in an imperfect video or picture, even an imperfect one. The students just respond differently when there is a story, or better yet, the image or voice (or both) of their instructor in the footage. In my own practice, there is definitely a ceiling to the quality with which I can create material. I just don’t have skill or the tools to make things perfectly. … could you answer this? If you wanted to check your guess, what kind of math would you do? I have a video answer, too, if you wanna check your work. So, I’m preparing to begin teaching calculus next year for the very first time. There has been a calculus course at my school before, but no one was very excited about it and I got the feel from the discussion that it needed a bit of an overhaul. It’s helped immensely that Sam Shah and Jim Fowler have reached out to me with their personal stash of awesome Calculus stuff and Justin Lanier sent me to Shawn Cornally‘s website for even more goodies. These have been fantastic. It’s been a bit overwhelming at this point, but I’ve started navigating through it and I am starting to make some sense of all of it. In the meantime, I had an idea for a possible problem that could fit into a couple of different calculus units. Or possibly physics. What also might be interesting is to watch an Algebra II class or a group of middle schoolers tackle this problem… as long as they don’t get motion sickness from the video. How far do me and my daughter travel during the video? I am excited about this problem. The task is easy to understand. Students should have no problem getting into the context. It doesn’t point to a particular method of solution, so there is a high degree of creativity. Plus, I would expect that most students will be able to make decent predictions since the answer will be so approachable. And you get a first-hand experience of what seven-and-a-half minutes in the car with my daughter is like.